With over 30 years of experience, SCAIME is one of the world leaders in weighing for automated systems and a specialist in measurement for industry and structural monitoring by means of fibre optics. The company employs 85 staff and achieved a turnover of almost 13 million euros in 2017. With continual growth in recent years, the company is pursuing its development ambitions while also retaining its human scale. Committed to this growth and to customer satisfaction, our teams based on the Annemasse site have developed expertise in a wide range of skills. Our production site houses a number of special facilities, including a cleanroom, climatic chambers, laser welding robots, and linked calibration systems. 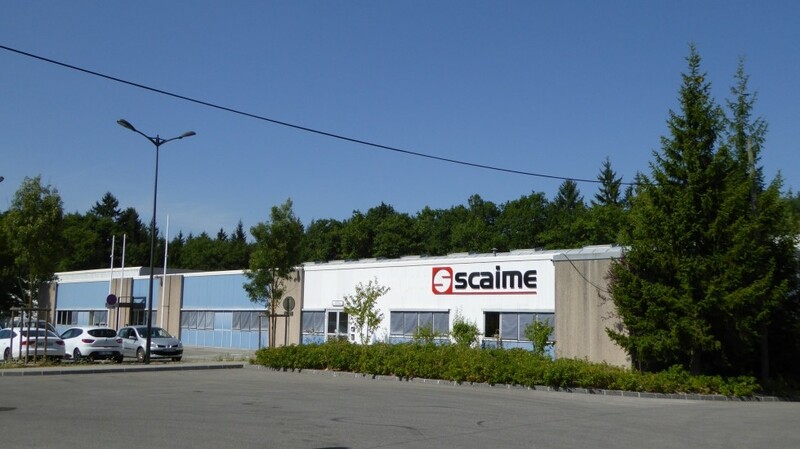 The flexible and modern production resources at the French headquarters, combined with those of the Shenzhen site in China, enable SCAIME to ensure the best price/quality ratio for manufacturing with high added value, as well as for large production runs of standardised parts. It is thanks to this mastery of the entire design and manufacturing process that SCAIME is able to provide quality in keeping with the most demanding international standards. Based in France, the company is pursuing a proactive strategy of international expansion across all continents. For this purpose, SCAIME has a worldwide network, provided by a presence in more than 65 countries in collaboration with specialist partners and distributors. This presence is further strengthened by the establishment of commercial offices in China (Shanghai) and in Germany. This international development strategy enables the company to achieve more than 40% of its turnover from exports. We offer weighing components and solutions for manufacturing scales and controlling production processes. Our solutions for measuring strain, force, torque and displacement meet the requirements of test and control applications in the manufacturing industry. Our fibre-optic measurement systems enable the implementation of solutions for monitoring the integrity of structures in the most critical environments.